Susanna Lau is busy. Between sitting front row at Chanel and Dior in Paris, hosting glittering soirées, and looking after her little girl Nico at home in London, it's impressive that she radiates the kindness, authenticity and serenity of someone at ease with the life and the schedule of a major, international fashion influencer. Born in the United Kingdom to Chinese parents, Susie Lau, also known as Susie Bubble, launched her immensely respected style blog Style Bubble in 2006 while she was studying history at UCL. Over a decade later her discerning, innovative content and reputation as one of the few 'original' influencers has placed her firmly at the forefront of the British fashion scene and beyond. 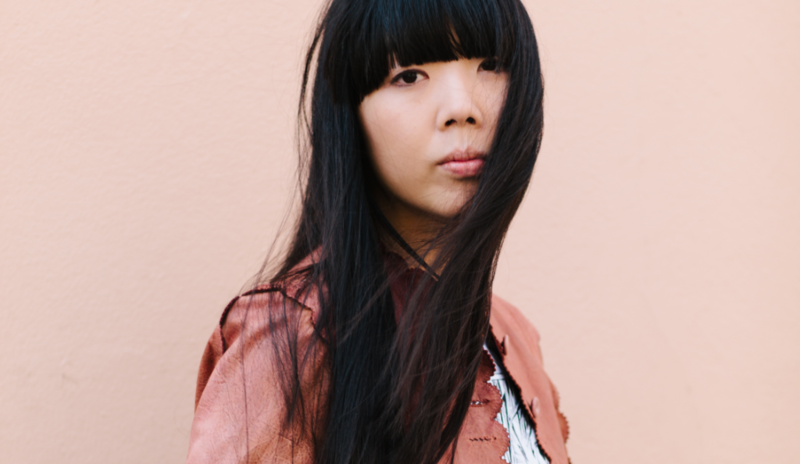 We meet her in the Scandi-inspired streets of designer outlet Bicester Village to look around her innovative new pop-up, Celebrating China. The shoppable space features an impressive edit of ten, young, Chinese designers, including LVMH award finalist Huishan Zhang, seasoned fashion week aficionado Ryan Lo and fresh faces like Muzkin and Snow Xue Gao. The pop-up is a rich and eclectic mix of styles, colours and pieces, spanning everything from Hong Kong grunge to Shanghai glamour. Ryan Lo's loud, colourful knits scream fun and Yang Li's leathers and bombers ooze urban cool amidst muslin drapes and limited edition artworks by neon artist Juno Shen. We sat down with Susie to ask her a few questions about the pop-up, its conception, and its home in Bicester Village. Why is London a strong platform for international designers? London and London Fashion Week has always been (and hopefully will be, post-Brexit) a place that is open to everybody. It's only natural that people from all over the world gravitate towards London to show. It's an open minded fashion week, that has a real appetite for the new. All the press that go to the shows in London are after new blood and new talent. That’s why I think its a particularly fervent platform, not just for Chinese designers but for young designers all over the world. How did you go about curating the Celebrating China pop-up? I didn’t want to pick out designers whose designs were ostensibly Chinese-looking – with the exception of Muzkin, but you can see why their pieces are that way, merging East and West in an interesting way. I really wanted to get across the idea that Chinese fashion is wide ranging, deep, nuanced and spans all sorts of different tastes and genres. Why will your chosen designers resonate with the Bicester shopper in particular? The Bicester shopper – and this is something that I only learned since working with Bicester – is super fashion forward. You go into the brand stores, and customers are requesting specific looks and specific collections. It's a curious customer. When [the pop up] first opened on Friday I was here doing a shoot, and I saw that people were researching the feature designers on their phones. Also, the footfall is epic. It’s the second most-visited destination after Buckingham Palace. Lastly, how will you be celebrating Chinese New Year in London? I have a family meal this weekend with my Mum and Dad who live in London – all of my family are in London – and traditionally you have a big family meal on New Year’s Eve. And then on New Year's Day, on Tuesday the 5th, I’m hosting a party at Annabels. It's going be super kitsch and fun, and it's something I’ve never really done before. But this is the Year of the Pig, and I was born in the Year of the Pig, so it's fitting that I'm doing all of these Chinese New Year celebrations.